Boy, oh boy, I hope this kind of nightmare does not come to pass, but the powers-that-be are suggesting making a 15% cut in Pell Grants. That may not sound like much, but a grant is money that doesn’t have to be paid back, and Pell Grants are often lifesavers for those who want to attend college or grad school and can’t afford it. If this upsets you–and it should–then I recommend calling your friendly neighborhood representative or senator. There is no telling where this could go, but either way, it means that you might be taking out more loans to cover what the grant money used to. Even if you have a good aid package now, remember that you have to reapply every year, and the package will vary depending on the whims of the government. As always, this post does not intend to discourage anyone from attending graduate school and following a dream. Just a) make sure is is really what you want before you take on student loans and b) prepare to get by on very little when you are a grad student. Take a look at the Wild World of Student Loans for the details. That’s your student loans coming to get you. 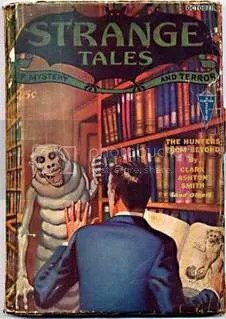 Cover of the pulp magazine Strange Tales of Mystery and Terror (October 1932) featuring “The Hunters from Beyond” by Clark Ashton Smith, published by William Clayton. Image Wikimedia Commons, public domain. Just How Far Will Banks Go to Collect Student Loan Debt? Remember how I said that it is almost impossible to escape a student loan debt, not even through bankruptcy? A recent news story served as a reminder that banks will go after that money by any means necessary, no matter how vulgar their behavior may be. Consumerist shared a story about a young woman who passed away from a rare form of cancer and left her student loan debt behind. According to the rules, no one else is responsible for her debt as long as no one else cosigned the loan. No one else did. So, when she passed away, the banks couldn’t go after anyone else for the money. This woman followed the student-loan rules and did not ask her parents to co-sign, so they didn’t have to pay her debts. This isn’t a message to avoid Wells Fargo or one specific bank in particular. The name of the bank doesn’t really matter. What matters is that student loans are serious business. This young woman did everything right and had her loans in her name–yet one of the banks still made trouble. Whenever you take on a student loan, know the rules, and let your family know about your financial situation so they are prepared no matter what happens. *After a local news story and some richly deserved public shaming, Wells Fargo backed it up. When in doubt, call “Seven on Your Side” or your local equivalent. It appears to be almost as effective as calling a lawyer. Image of $620 in 31 twenty-dollar bills by Merzperson from Wikimedia Commons, public domain. 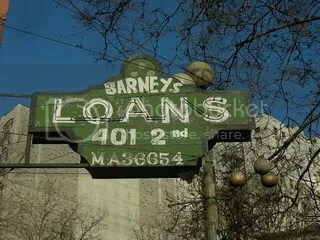 Talk to your lender before you default. By talking to your lender, you might be able to create a payment plan or find a compromise that will keep your loan from defaulting. Once you default, there’s no going back. A deferment might give you some breathing room, but don’t forget that, depending on your situation, the interest will keep on growing. Do your best to avoid default. 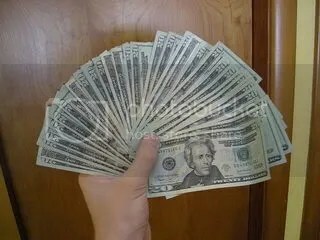 If you stop paying, you won’t get to know the lender. You’ll get to know the debt collector, and you’ll face wage garnishment, not to mention a host of other unpleasantries, such as constant phone calls asking you why you haven’t paid up. More after the jump! 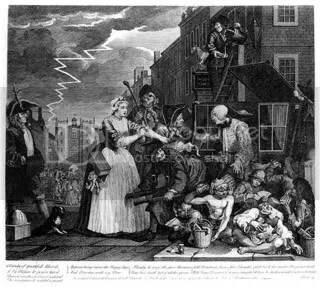 William Hogarth: A Rake’s Progress, Plate 4: Arrested For Debt. From Wikimedia Commons, public domain. 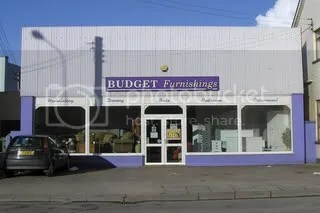 Have a rough idea of your budget first. Eh. Why lie? No one ever really sticks to your budget, but you should take a look at your bank statements to find out where your money goes and how much money leaves per month. Get a roommate. I knew very few people who managed to live alone during grad school. Nearly everyone had a roommate. My roommate and I agreed to split utilities and had enough left over for basic cable. More after the jump! Image of a storefront by Kenneth Allen from Wikimedia Commons under a Creative Commons license.